For many, the concept of seeing is believing has attracted many to experience the unknown and surreal. One of these attractions is not quite what you might expect. Off of the beautiful Maho Beach on St. Martin’s island, the Princess Juliana airport strikes fear and wonder into people every day. 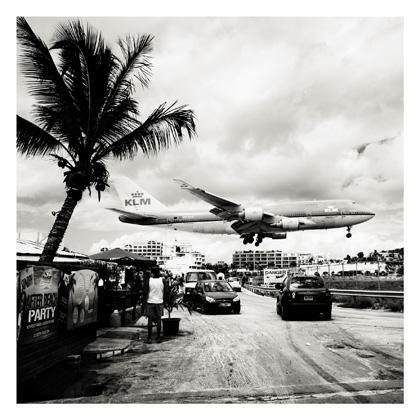 Because of limited space for runways, planes land precariously close to beach goers every day. Josef Hoflehner has taken the time to capture this phenomenon in beautiful black and white.